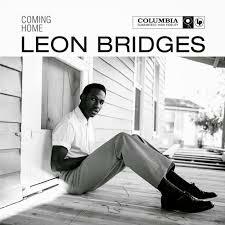 Leon Bridges caused a sensation at his recent Australian concerts with a very slick and classic 1960s soul sound. Inspired by Sam Cook and gospel, the Texan singer brings back upbeat songs of love, faith and redemption and delivers them in a cool vintage suit. Coming Home, the artist's debut album is featured in Freegal the Library's free music streaming platform. You can also enjoy the soul originals in compilations such as 100 Souls Hits, The Best Classic Soul Hits Vols 1-3 or search for your favourite artist. Your Library card allows you to stream up to 6 hours of Freegal music a day and download 3 songs per week to your computer or mobile device. Music lovers can also download recent Australian and US editions of Rolling Stone magazine from the Zinio eMagazine service through the Library's website. Just download the Zinio app from the Apple or Google Play store and register with your Library card. Lovely to see a music review!